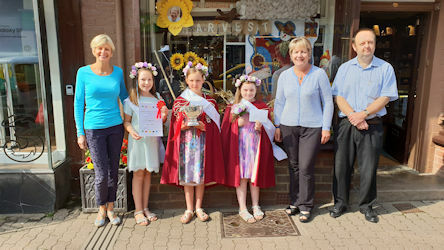 Welcome to the Official Ledbury Carnival website. 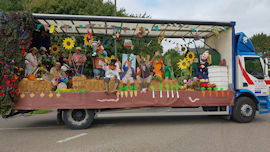 Here you will find pictures from past carnivals including the 2018 carnival. 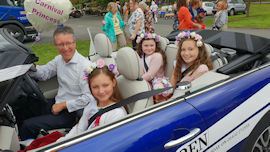 Here are pictures from the Ledbury Carnival, which takes place every August Bank Monday. Here are some pictures from the 1998 (Bungee Jumping), 1999 (It's a Knockout), 2000 (The Circus), 2001 (Flower Power), 2002 (Royal Pageant), 2003 (Country Carnival), 2004 (Hollywood Comes to Ledbury), 2005 (Greatest Events in History). 2006 (Music). 2007 (Fairy Tales and Nursery Rhymes), 2008 (Countries of the World), 2009 (TV Carnival). 2010 (Transport and Travel). 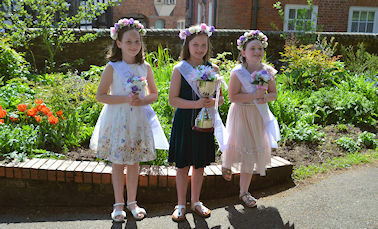 2011 (Theatre and Pantomime), 2012 (Great Britain 2012), 2013 (West End Comes to Ledbury). 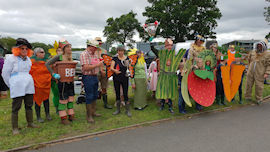 2014 (40 Years of Ledbury Carnival), 2015 (Step Back in Time), 2016 (Heroes and Villains), 2017 (A Novel Idea). 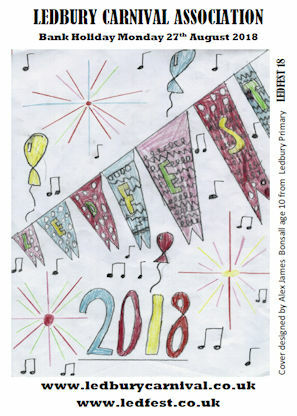 The 2018 theme was "Ledfest". There are lots of pictures in this section. There are over 500 pages in total! Theme for 2019 is "Ledbury all at sea, a Nautical Carnival"
I also need your help. If you have any old photos (or even video) from any previous carnival before 1999, please contact me. Any picture used will be built up to a good collection of Carnival Photos and each and every submission used will be credited on this website. Many thanks for the submission so far. There are now several pictures from old carnival including one from 1945. All photos will be returned. 2018 - Ledfest 2019 - ??? The Ledbury Carnival Site is part of the www.myledbury.co.uk group of websites, which includes more pictures of Ledbury including the Fair, Poetry Festival Party, Christmas Lights and many more, including Ledbury on the Television and nothing to do with Ledbury, the Eurovision Song Contest!. 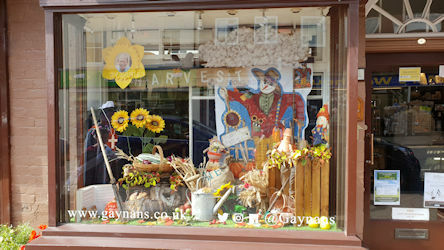 Please visit after you have finishing viewing the Ledbury Carnival Website!! !